Apple Pie. Have there ever been two words that were more perfect for each other? I think not. 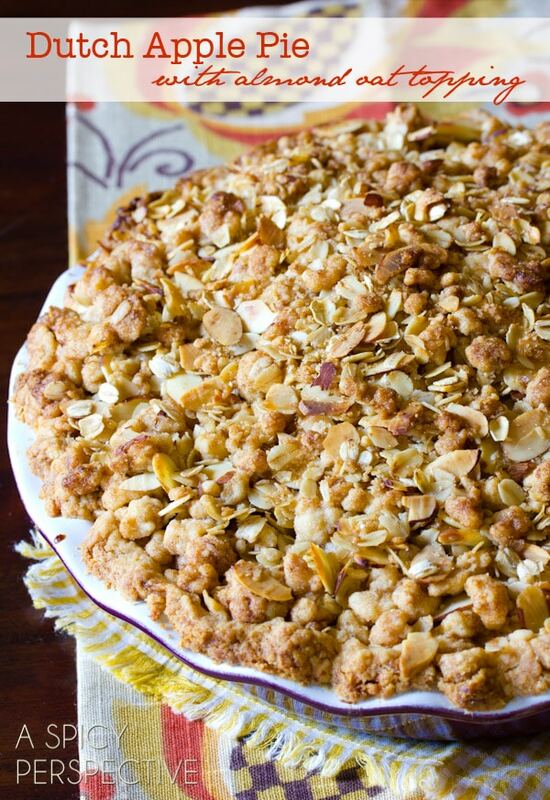 This classic Dutch Apple Pie with crisp buttery crust and crunchy almond oat topping, is bursting with tangy apples and autumn spices. This my friends, is what all pies aspire to be. 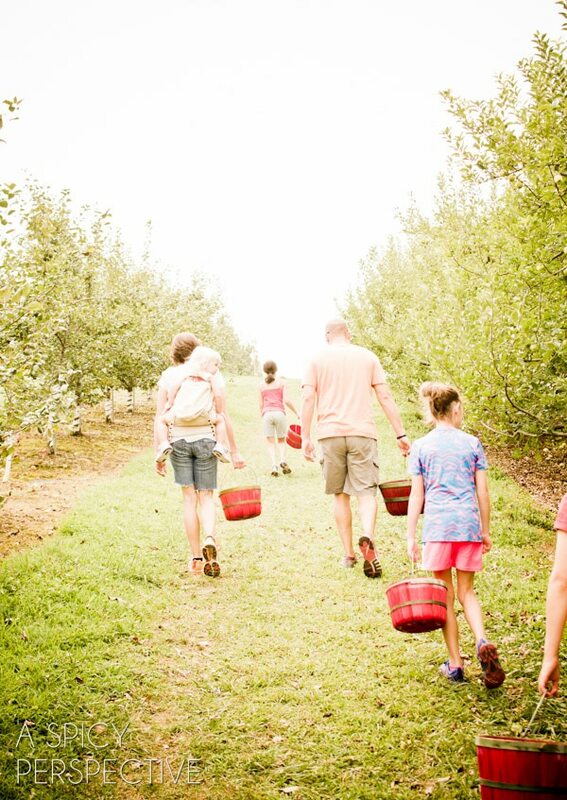 Every fall, we set a few Saturdays aside for apple picking. We drive out to the apple orchards with a large blanket and a picnic lunch. We spend a relaxed afternoon laughing, hunting for the perfect apple tree, and smiling more than usual. We pretend to pay close attention to the types of apple trees from which we’re picking, then nonchalantly place the apple in the basket without any further attempt to keep tabs of the varieties. We eat hot apple donuts and drink cold fresh cider. We lay in the grass with full bellies and piles of apples all around. We go home happy, with dreams of Dutch Apple Pie in the near future. And when it’s time to make that dream a reality, this is the Dutch Apple Pie we make. I’m not a bragger. Really, I’m not. But can I just take a moment to tell you how good this Dutch Apple Pie is? This is the Ferrari… the Cartier… the Louis Vuitton of apple pies. Seriously guys, I’m patting my own back over this one. There’s not really one thing I can point out that makes this Dutch Apple Pie better than most of the other pies I’ve made. It’s a combination of attributes, really. The golden flaky crust is made with Gold Medal Flour, a combination of butter and shortening, and is laced with the boozy essence of Maple Crown Royal. I love using Gold Medal Flour for pie crust, because it always bakes up so consistently, that the even texture accentuates the prominent boozy buttery flavor. 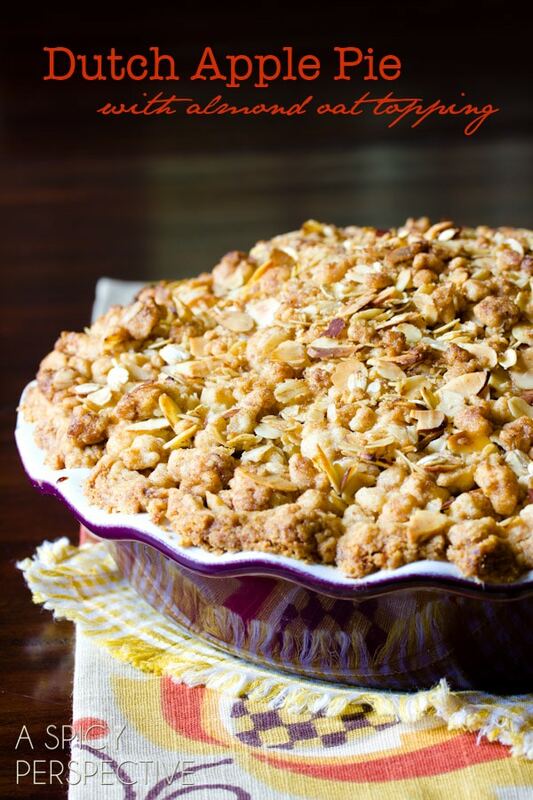 The rustic crumb topping is mixed with oats, almonds and brown sugar for a hearty nut crumble that breaks apart as you cut each bite. 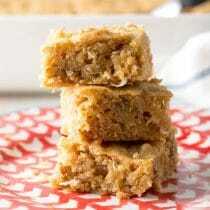 As for the filling, some people would argue that you must use granny smith apples or other specified varieties. Yet I feel that as long as you choose firm apples, not apples that are prone to getting mushy, you can’t go wrong. In this case, we picked several types of apples, all firm with a sweet-tart flavor, and the apple pie was ridiculously good. I combined the sliced apples with lemon zest and juice, a little corn starch to thicken the juices, cinnamon, nutmeg and ginger. That’s it. Simple homey flavors and textures that come together to form a Dutch Apple Pie masterpiece. 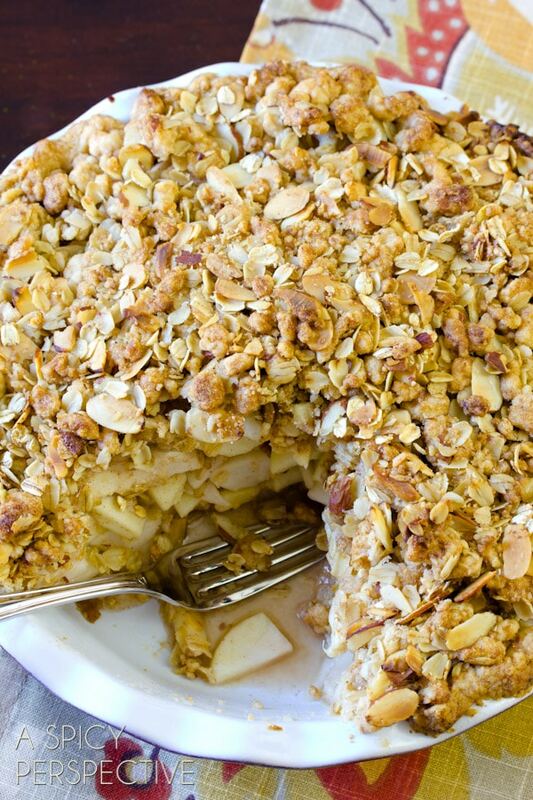 That is what every apple pie should be, and this one certainly makes the cut! 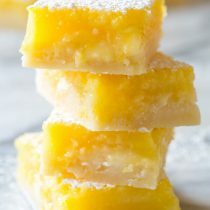 For the crust: Cut the butter and shortening into cubes and place in the freezer to get them really cold while you pull out the rest of your ingredients. 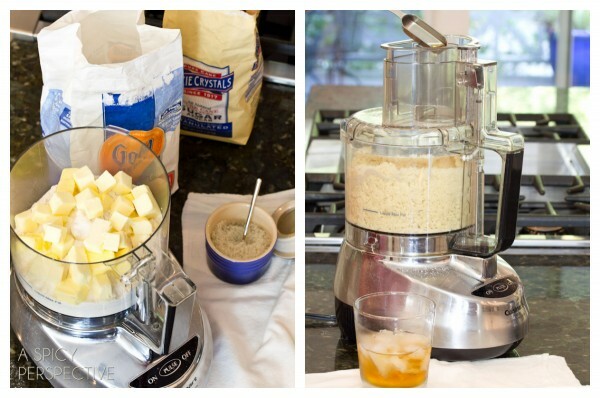 Place the flour, salt and sugar in a food processor. Pour 6 Tb. of apple brandy (or your booze of choice) over ice to chill. 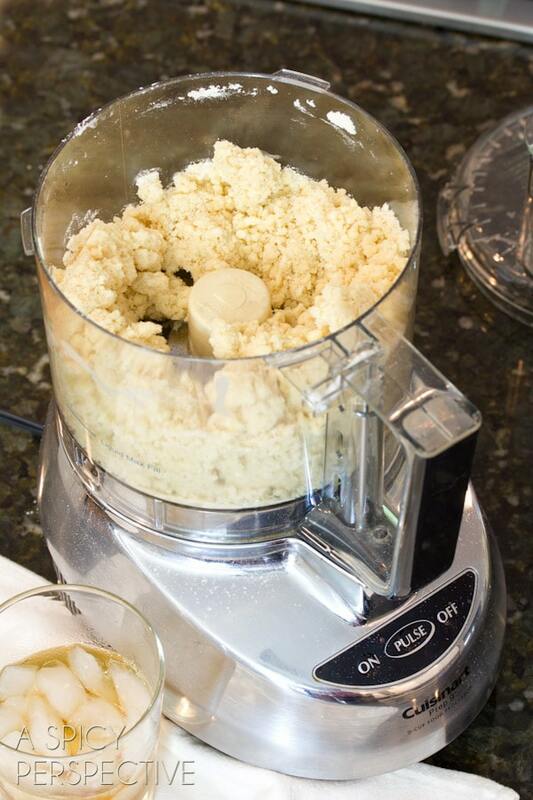 Place the butter and shortening in the food processor, and pulse until it breaks up into small pea-sized chunks. 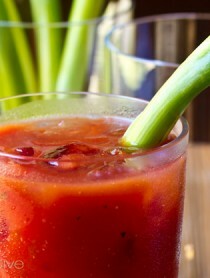 Without scooping up the ice, add the liquor one tablespoon at a time to the mixture and pulse to combine. Once the dough starts to pull together into a mass, stop adding liquid and dump out onto a piece of plastic wrap. Divide 1/3 of the dough out for the topping and place in a medium bowl. Then shape the remaining dough into a disk, wrap well in plastic, and place in the fridge to chill for at least 30 minutes. Break the divided dough into little pieces, then add the oats, almonds, brown sugar and cinnamon. Mix and crumble with your hands, then place in the fridge until ready to use. 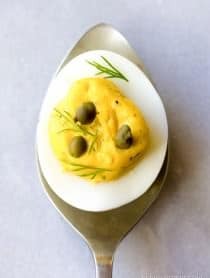 For the filling: Place the lemon juice and zest in a large bowl. Peel and thinly slice all the apples (1/8-1/4 inch thick) tossing in the lemon juice as you add them to the bowl. Add the sugar, salt, corn starch and spices to the apples and toss to coat. Preheat the oven to 450 degree F and place the rack in the lowest position. Place a piece of plastic wrap (or foil) out on the counter. Flour the plastic wrap and place the chilled dough on the floured work surface. Flour a rolling pin and roll the dough out into a large round circle approximately 12 inches across. Carefully lift the plastic wrap and flip the dough circle over into a 9 inch deep-dish pie pan. Gently fit the pie dough down into the pie pan–don’t stretch it. Then fold the rough edges under and pinch-crimp the edges with your fingers. Scoop the apple filling into the pie crust. Shake a little so the apple slices settle into place. Then sprinkle the crumble topping over the apples, covering completely. Place the pie in the oven, and LOWER THE TEMPERATURE TO 375 DEGREES F. The extra heat from the beginning gives and crust a little head start in baking. 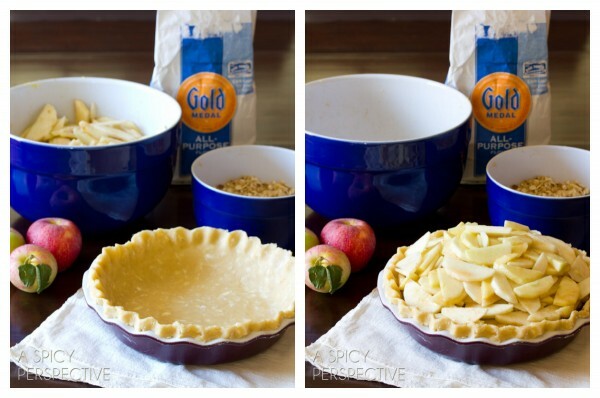 Bake the pie for 60-80 minutes, until golden and bubbly. If the crumble topping starts to get too dark, loosely cover with foil while baking. 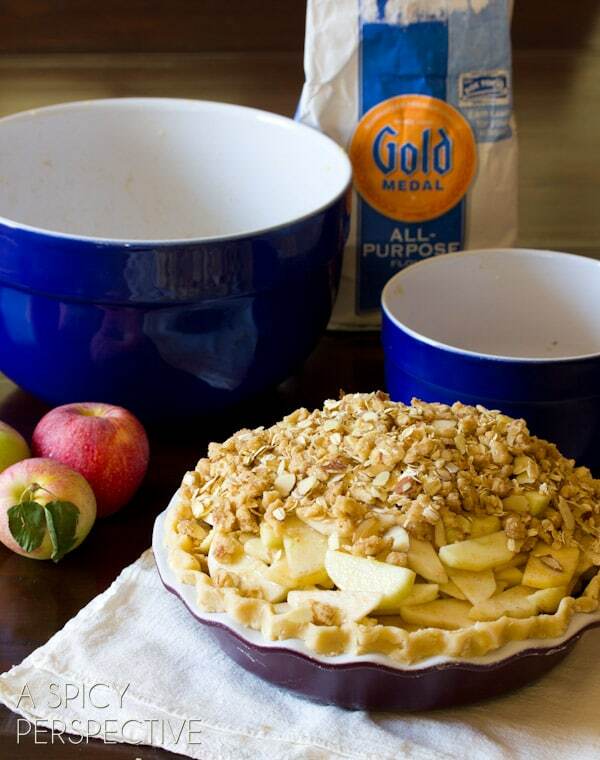 This is the hard part… DO NOT cut the pie until it has cooled down to room temperature. I know it smells amazing and is very hard to resist, but the filling needs time to settle and set, so it’s not soupy. If you cut your pie too soon, it will fall apart. I love visiting the orchard. What a wonderful pie to celebrate the time you spent together. Whoa. That looks awesome. I canNOT get enough of the fall apples right now! Uhh-maze-inggg! Someone help me I’m drooling and I can’t stop! This apple pie is gorgeous Sommer!! Looks great! I love apple pies and cakes!! But being Dutch myself, I have a hard time with the so-called origins of this pie. In all my life in the Netherlands I have never seen anything that looks like this, and I’m a chef… The real dutch apple pie is a short crust pastry from top to bottom filled entirely with just a mix of diced apples (not sliced), sugar, cinnamon and raisins. This is served with fresh whipped cream. That’s good apple pie the Dutch way!!! Oh. My. Lard. THERE ARE NO WORDS! This is insanely perfect and insanely delicious! This is pie perfection! Oh, how I want to dig into that thick pie and eat until I feel sick. That almond oat topping has me drooling. Pinned! This is just perfect for fall!! 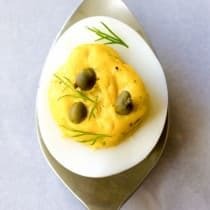 I was wondering if there is a way to do this without a food processor, I don’t have one and my kitchen is so small I don’t want to go out and get one because I have no where to keep it. The pie looks simply amazing I want to make it if I can! This pie! Sommer… its stunning! I love that you pick together… what a fun tradition! This looks out of this world! I’m pinning this for the holidays! Well Done! The topping sends it over the edge! Simply gorgeous pie. Of course I did see Maple Crown Royal and was hooked! What’s better than a warm apple pie. Scrumptious! Gorgeous pie! And such beautiful apples! I would love a slice right now for a midnight snack! I love all of these gorgeous photos and I’m swooning over your picture perfect pie. I’m always envious of people who can make such stunning pie crust. Practice makes perfect right? It just means I need to bake more pies. 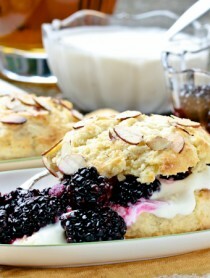 This recipe is going to the top of my must-bake list! 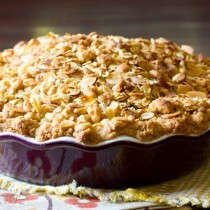 There’s nothing like fresh apple pie in the fall and this one is a stunner! I’ve never been a big pie person, but this could totally sway me! Not only do I now want a piece of pie, but I also want to run around in an orchard and pick my own apples. It’s been way too long since I’ve gotten to do that and I’m sure my daughter will love it! Wow! Great photos and a delicious looking pie. Thanks so much for baking with our flour. Yum Yum Yum, I love dutch apple pie. This look amazing! Thanks! okay, I’m patting your back as well–this looks fantastic!!! The booze in the crust is very interesting. And, apple-picking is such a great way to celebrate Fall. I can’t wait to try your Cartier pie! This has me obsessing over Thanksgiving already Sommer! Fall perfection! I love that you get to go apple picking. Looks like a blast! I am wondering if the pie crust can be made without shortening. Is there anything you can replace shortening with in crust recipes? I can’t wait to try it, but crusts are not my forte, so I’m a bit reluctant. Hi Chris, you can use all butter or a combination of butter and coconut oil, but I feel the shortening gives the crust stability. Let me know how it goes! 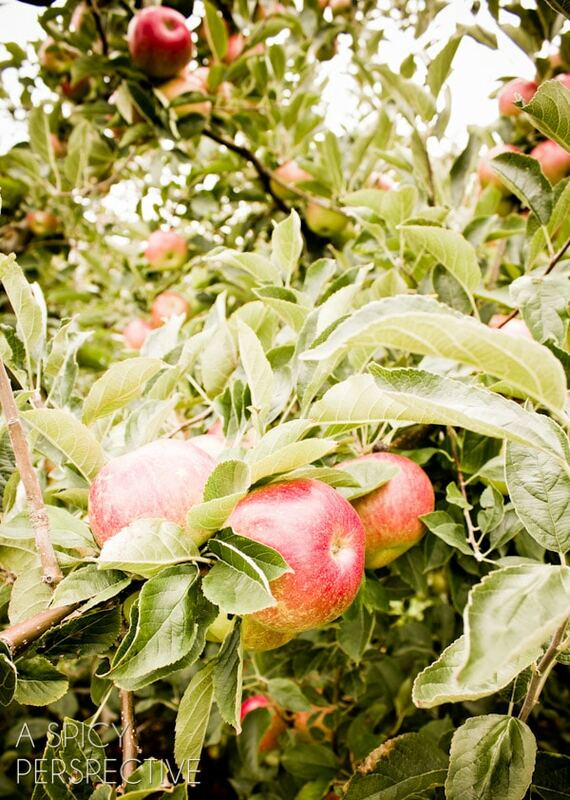 We’re slated to go apple picking this Saturday with friends. I can’t wait! Lovely pie however, it is not a traditional Dutch apple pie. I think this is an american take on it. 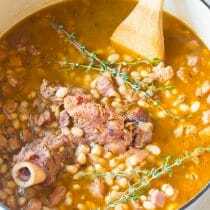 Still, great recipe! Such gorgeous photos! Thanks for an amazing dessert recipe! Mile high apple pie! Looks so good and Dutch is my fav!! Now this is my kind of dessert! Love!! There’s nothing like a fresh apple pie right out of the oven. Love how it makes the kitchen smell like fall. Great topping Sommer! That is one gorgeous pie!!! Wow! Sommer that is one incredible apple pie! I am dying right now of it’s pure amazingness! Your fall saturdays sound perfect, I wish we lived closer to apple orchards. I used to love apple picking when I was younger!